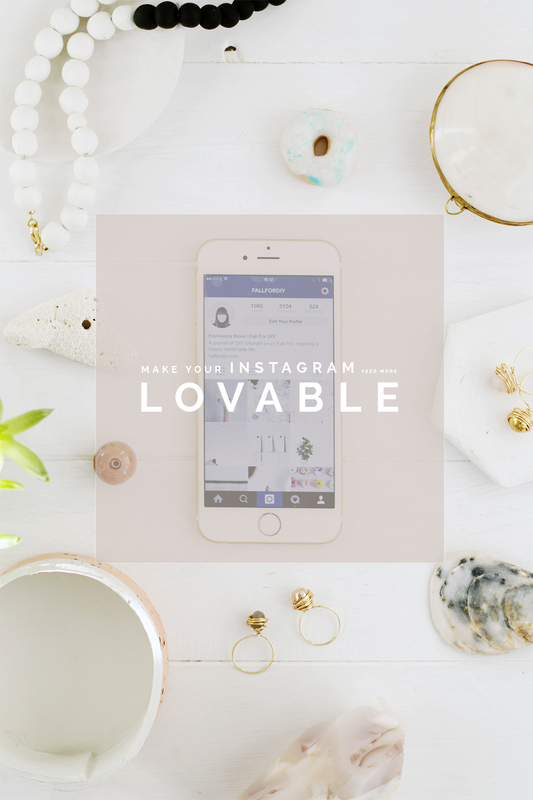 How to Make your Instagram Feed more Lovable! This week I’ve been celebrating reaching 5000 followers on Instagram and I’m feeling the love! I constantly have to remind myself to stop at notable times like this and take a moment to think about what you can achieve when you put you mind to it. I know I haven’t just solved world hunger or changed the planet for the better but I’ve made steps towards being my own #girlboss, which for me is a reason to be happy! This year one of my goals is to work on my Instagram engagement. I’ve been making a conscious effort to spend time constructing images that I hope people will love and to be more open with communicating my thoughts at that time. I’ve found that Instagram is not only one of my favourite places to have conversations with people all around the world. I’ve also learnt that so many people go through the same difficulties as me, or just a similar experience. We can be there to offer a word of advice, support or friendly face emoji through the power of the Internet. I’m pretty sure I say this every time I write about social media and blogging but I’m still so surprised at how supportive people who you have never met before can be. I feel like I want to give something back. 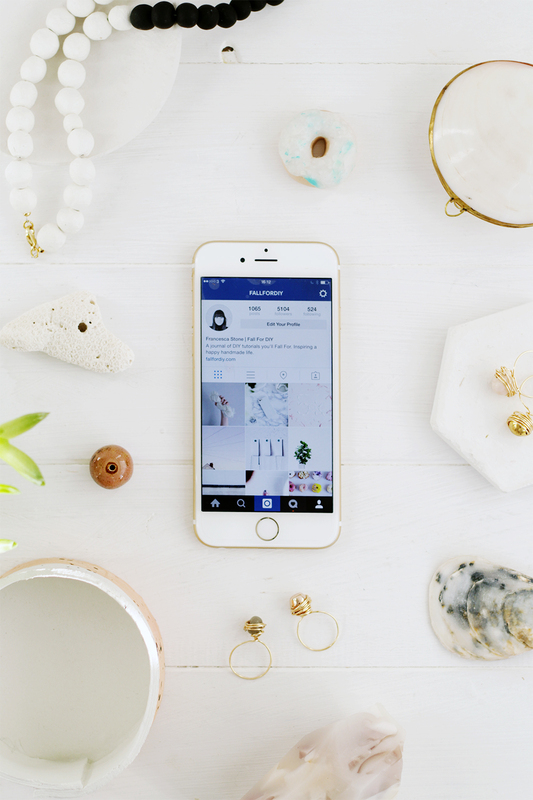 So today I’m going to share with you my Instagram photography and scheduling tips and tricks. 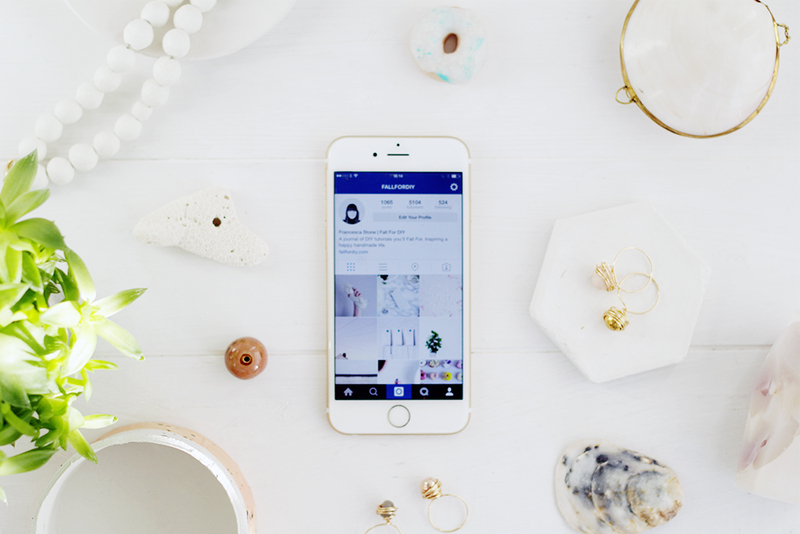 Hopefully this will help you to increase your engagement, follower numbers and make your Instagram feed a lovable place. Become a collector. Whether that’s physical objects you pick up or textures and compositions you snap when you’re on your way to work. I utilise both of these in my feed to create a mixture of textures, composition and hues. I like to keep my feed light. For me it’s much easier than considering where to place the colour in my feed. I want to begin introducing more variation and I’m working on my editing skills and style so that when I do it keeps a cohesive aesthetic. I know that Instagram is meant to be a fun, spur of the moment sharing platform but thinking about your images this way can help you to improve your photography skills while experimenting with and creating your own style. When it comes to composing your scene take a few pictures, try out different angles and if you can move the subject around a little. Don’t go with your first try (unless it’s actually the best of a few!) and don’t get trigger happy with that post button! Always edit. Make the most of what you’ve got! Just a little editing will take your pictures from alright to A-Mazing and you won’t need a degree in photoshop editing to do it. There are so many free phone apps that can help you get your images Instagram-ready available in both the App Store and Google Play. VSCO cam is widely used now and is incredibly easy to pick up. Upload your picture (or take on the in-app camera which has some good features), whack on a filter and you’re (almost) ready to go. 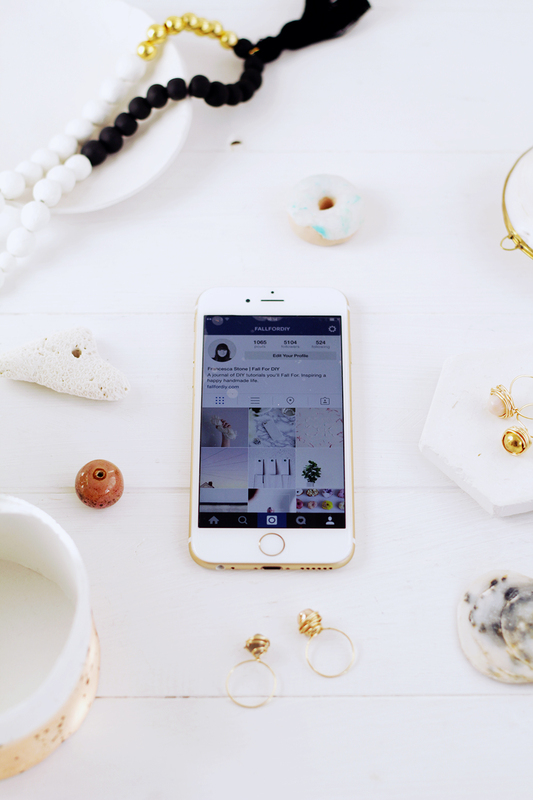 You can use the tools to fine tune your image and crop to Instagram if that’s your thing too. Other apps I use include Snapseed which has great editing capabilities and is particularly useful for bringing out the colour in the images. There’s also PS Express for spot healing and Afterlight to play with layers. Some of the apps I use I have paid for, but never more than the price of a coffee and only if I know I will use it. Fall in love with other Instagrammers. The best place to get inspiration for your Instagram photos…. Instagram! Now, I don’t mean the type of inspiration that involves exact replicas, but taking note of a way another ‘grammer has composed a subject might give you ideas for your next photo. Try to find a range of different accounts you love so that you don’t straight up rip someone else’s style off. No one likes that and you don’t get the chance to define your own brand aesthetic. I follow a lot of bloggers and jewellery designers but I also follow fashion and street photographers to mix it up a bit. It’s massively inspiring to see such a varied news feed that I’m always left feeling inspired after a scroll. And the dreaded Hashtag.. Here we go… Use hashtags. Not too many, not too few. Make sure they’re the right ones and never, ever #followback (or however that one goes?) For a start it looks a little needy. But more importantly you’ll end up following accounts that won’t give you that “Lovable” feeling you get when you have a community on Instagram instead of a just a following. As you might have gathered I find getting hashtags right surprisingly tricky. 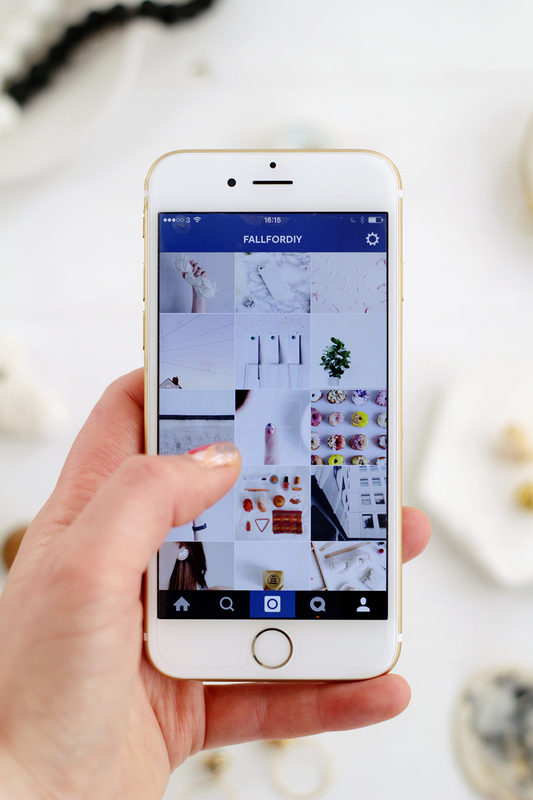 Many bloggers have started to create their own hashtags which are great to get involved in. Design*Sponge and A Beautiful Mess have several to use for different themes. They might even repost your picture (which is awesome when it happens) which means thousands of likeminded Instagrammers have a direct link to your account. A little hashtag tip: You can add your # in a comment below the main caption. This means you can go back through your images to tag later on. If you’re struggling to get involved in other peoples hashtags then make your own! To spread the word about our new project we’ve started the tag #wemakecollective and it’s looking beautiful already! Use the hashtag to show us what you’ve been making and join in with a new community of online creatives. And don’t forget to come and say hello to us right here!